As promised in my recent publication “Et si Rashid Badouri se rendait enfin en Haiti?”, you may now find a video montage of recent demonstrations held in the streets of Port-au-Prince. 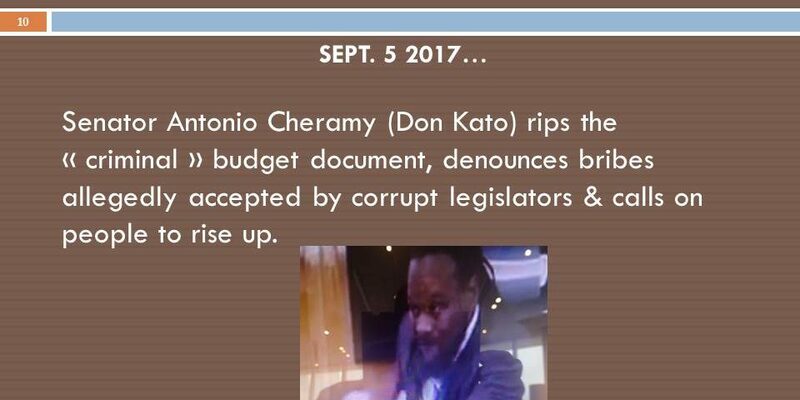 It provides further context for the strong reaction provoked by your ill-inspired joke that targeted Senator Antonio Cheramy (Don Kato). The young women and young men you see in this video are university students, artists, craftsmen, street vendors, unemployed… all of them sons and daughters of Jean-Jacques Dessalines, descendants of kidnapped, displaced and enslaved Africans who broke the yoke of European terrorists some 200 years ago. As you know, unfortunately, the struggle for Black Lives to matter in Haiti is far from over. I have now completed English translations for part 1 of the video montage. “the predator class feeds alienating crap to the people…those who take to the streets are conscious, organized people with a revolutionary agenda” – young male activist. “In the People’s House, they seem to be only concerned with lining their pockets. Meanwhile, our State University is in shambles, totally dysfunctional! Yet, their focus is to vote in a budget that brings nothing good or of value, in the interest of the people. So, we are telling them to assume their duties and to answer what they’ve done with our votes” – Vanessa Jeudi, young female activist. 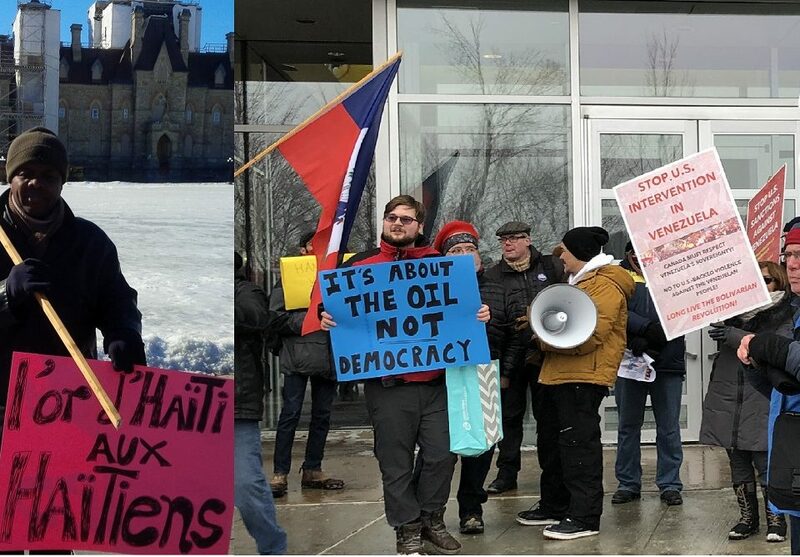 I take the time to highlight these few quotes to illustrate how young Haitians articulate why, along with Senator Antonio Cheramy, they are standing up to the barbaric, unacceptable, Apartheid system that misrule Haiti since October 17, 1806. I am confident you saw this Apartheid system close up with your own eyes and it disturbed you as well. You may not know how you could have behaved differently during your recent stay there. I do not judge or blame you for what was not under your control. Neither do most Haitians. 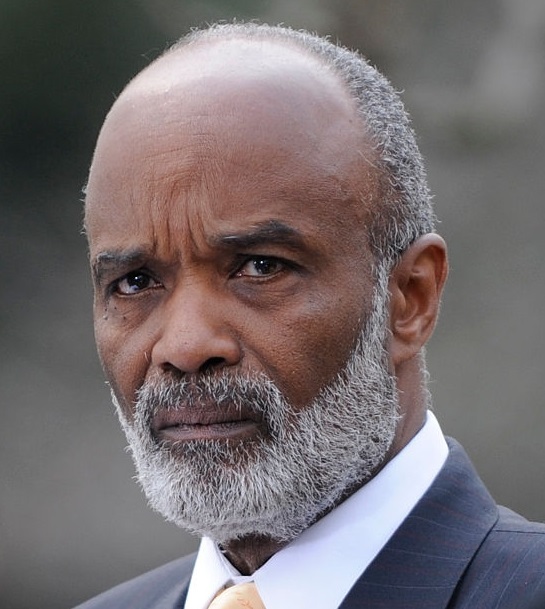 However, this does not erase the responsibility you and I both have as Canadians to educate ourselves, especially about the contribution our own elected officials have made in sustaining this racist Apartheid system that lingers in Haiti, especially through the 2004 coup d’état. Some of us have written and spoken about it quite extensively (Please see http://www.apologytohaiti.ca/ ). When we fail to expose the truth about the struggle these young people are facing in Haiti, we become complicit in their continued suffering. I understand that you are a comedian, not an activist. However, just like Nina Simone reminded us not that long ago “an artist has duty”. By the way, many of these young Haitian activists are superb artists, like yourself. While I work on subtitles for part 2 of the September 6 demonstration, I encourage you to discover and enjoy their powerful work, which is available free via youtube.